The complaint concerns the judgment by which he was directed to compulsory treatment in a psychiatric clinic. Ihar Pastnou believes that several articles of the International Covenant on Civil and Political Rights were violated during the trial. Vitsebsk psychiatrist was forcibly sent for compulsory psychiatric treatment shortly after issuing a video appeal in which he criticized the local authorities and the health system. The appeals against the appropriate verdict of Judge Tatsiana Dzehtsiarova gave no results. The Vitsebsk Regional Court and the Supreme Court ignored his testimony that neither he nor his lawyer (whose services he wasn’t allowed to use) were presented at the trial. Ihar Pastnou states that his placement in the psychiatric hospital was politically motivated, as he dared to criticize state officials, including Chair of the Vitsebsk Regional Executive Committee. He considers forced psychiatric treatment as punishment for freethinking and public position.Since he is psychiatrist by profession, he also expresses doubts in the psychiatric diagnosis, given to him. Stressing that the courts ignored his right to an independent and impartial trial, he asks the Committee on Human Rights of the United Nations to accept his appeal, recognize Belarus as violator of several articles and paragraphs of the International Covenant on Civil and political Rights and oblige her to compensate for court expenditures and moral damages. 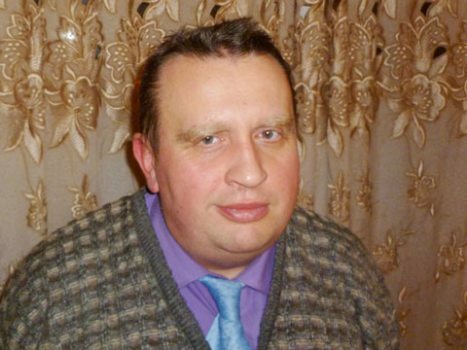 Ihar Pastnou became a well known figure in Vitsebsk and throughout Belarus after being pressurized for his critical video addresses.